Photographers (top) outside Dublin District Court await Mr Drumm’s arrival (top). 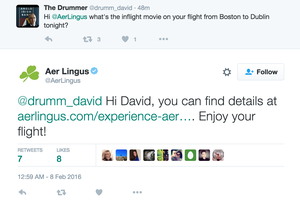 Posted in Misc and tagged David Drumm at 9:10 am on March 14, 2016 by Broadsheet. too little, too late as the vulture funds evict our citizens on to the street. Eh? Dou you know what he is being charge with? Or are you just a headline reader? I recognise optics when I see it. Wonder if he is keeping in touch with Bubba back in the jail cell in Boston? He’ll be welcomed into the backroom for tea with the barristers as soon as the trial is adjourned, just like his boss was a few years back. What’s your problem with that if he is you contemptible moron? And with Fianna Fáil likely to return to government he’ll get a slap on the back and a nightly table at Shanahan’s on the green with Bertie et al. Enda’s deep thinking seems to have been that with FF decimated, there was a gap to be filled if FG could only emulate FF in style, approach & competence. He has a lot of charges to face… wait and see. I think. 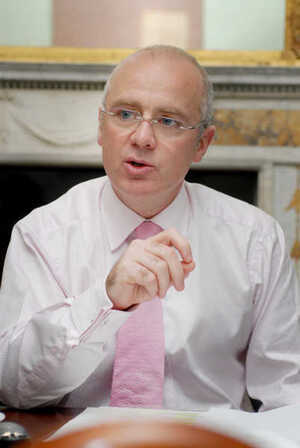 Drumm has left his wife and children back in US. Obviously expects to be back with them soon. If our Legal Eagles shook the hand of Seanny Fitz when he came to Court, they must be planning fireworks and BBQ session for our David. No real justice in Ireland. Not a penny, not a just sentence. The ultimate Boston boy is in town. He missed the Ireland match. Should be in a nice corporate box this time next year. He’ll be in a VIP box at the rugby with Seany Fitz and [Redacted] come Saturday. Should have brought him to Done Drumm. Compare this to the treatment of the water protestors who had their houses raided by dozens of Gardaí with prior tip off to the media. Preferential treatment started before he’d even set foot on Irish soil. 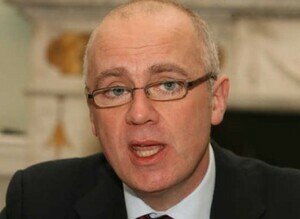 Drumm won’t do any time in jail. We have already seen ex. bankers convicted of providing illegal loans. They faced 5 years in jail but got 240 hours community service. The justice system in Ireland is an absolute joke. It’s a hatred the elite have for the poor who try and stand up for themselves. What’s the chance of him trying to falsely arrest someone and incite a mob? The indignity of being brought to Ballymun. The final insult..